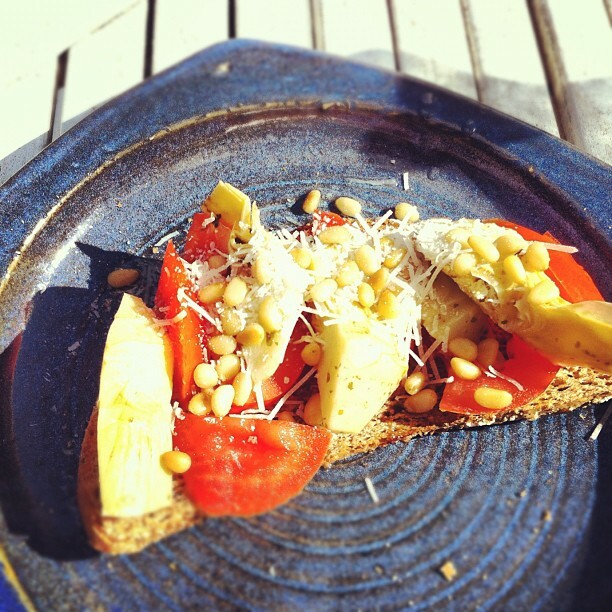 The recent hot weather and a day working from home prompted one of my favourite lunches: bruschetta. Quick and easy to make, it turns your average lunch into a treat, with no more effort than it takes to put together a sandwich. 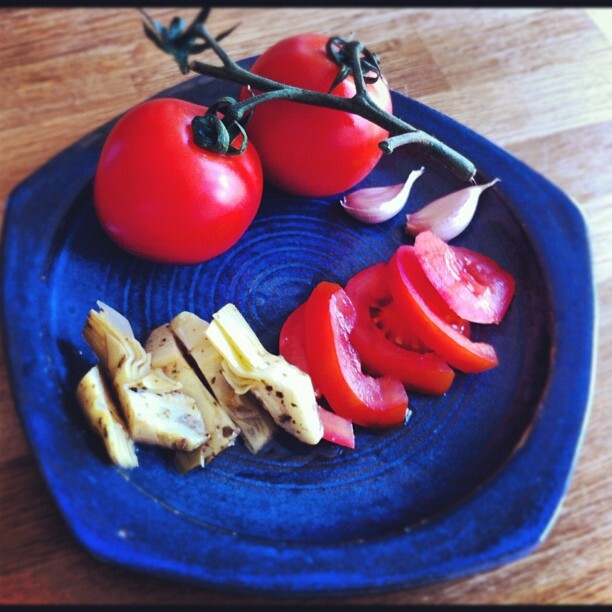 Here are some recipes, or here's mine, made with tomatoes, artichoke hearts, toasted pine nuts and parmesan. Lots of the recipes will tell you to BBQ or griddle the bread - I just put it in the toaster. 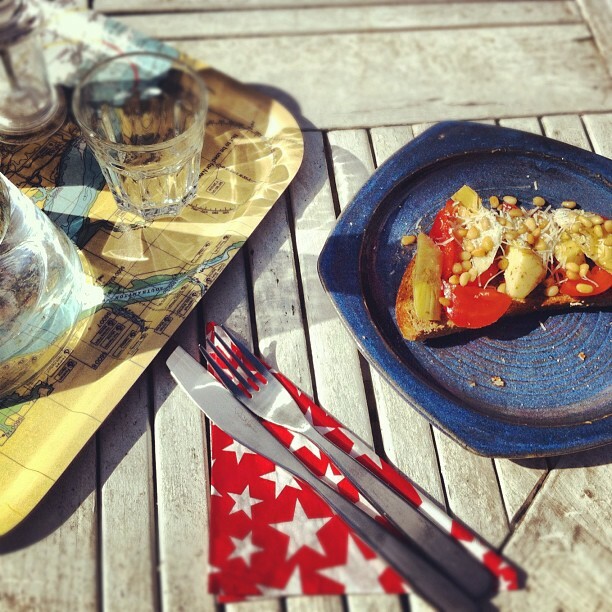 And they will tell you to skin your tomatoes - I just slice mine. Once the bread is toasted, I rub the bread with a garlic clove, drizzle with olive oil, and then pile on the toppings. Mozarella, olives, tuna, and feta all also work well. Trough on.